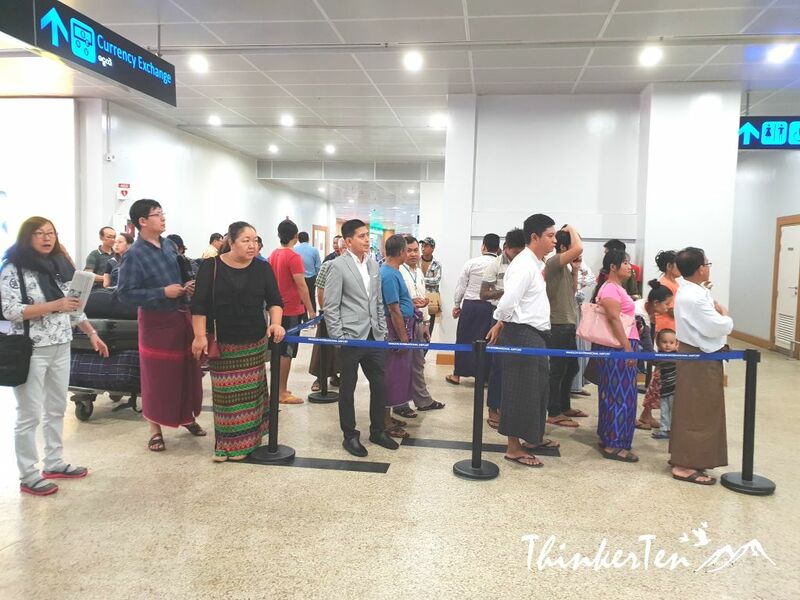 If you think Yangon International Airport is really backward, then you are wrong. I was quite surprised to learn that Yangon International Airport is new and well maintained. When I arrived, there is the jet bridge to bring the passengers to the airport terminal which is a good thing as we don’t have to walk down the stairs from the plane. I didn’t expect there is a jet bridge at all. 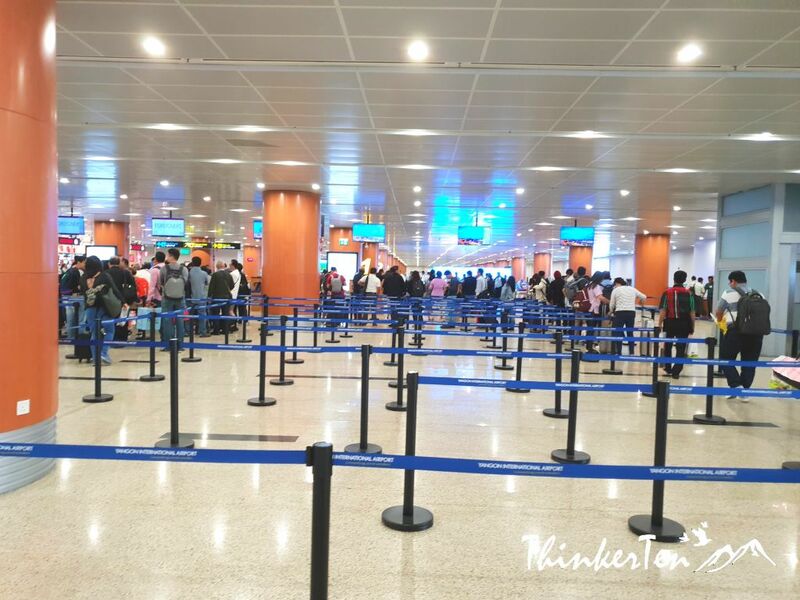 The airport also called Mingaladon Airport as it is located in Mingaladon which is 15 km away north of Yangon city. 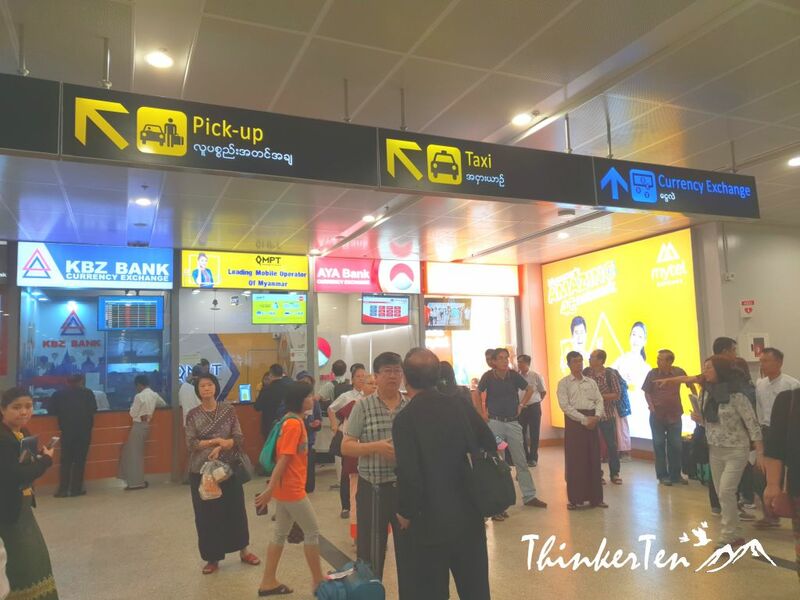 There are two terminals in Yangon International Airport that is are a five-minute walk apart. The airport is very large and spacious with clean carpeted floor. The airport facilities are pretty good. The line for Customs immigration at arrival move pretty fast and staff are efficient and friendly. They speak good English too. 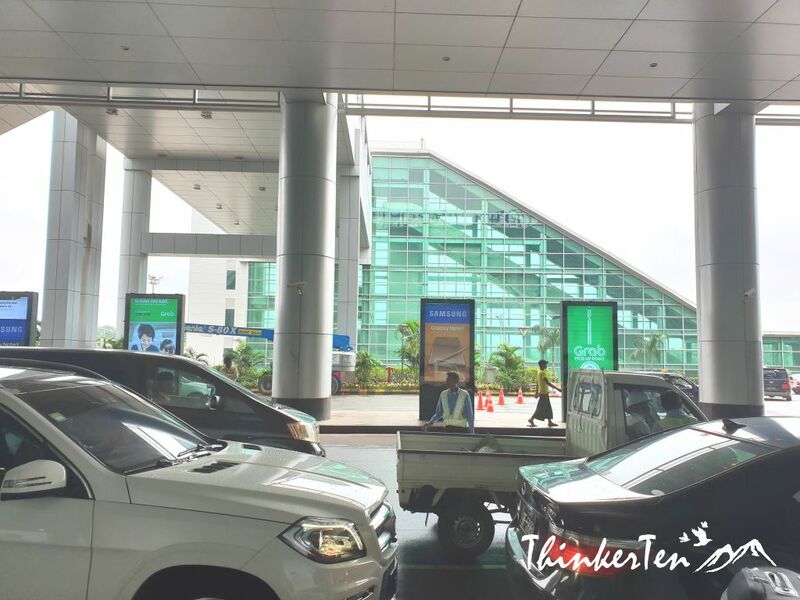 After you have exited the customs immigration, there is signboard showing in English where to take the taxi. We proceed to catch a taxi since we do not pre-book online from Klook. 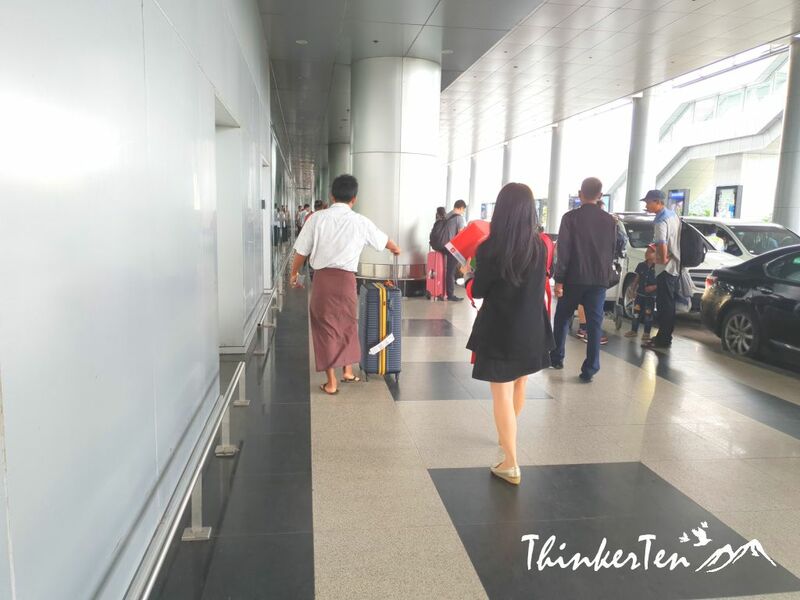 One interesting scene when you first step out from the airport is to see most men and women wearing “sarong” or “longyi” – a long cloth wrap around your waist. There are many drivers ( not an official taxi driver) standing outside the airport looking for customers. A Burmese guy came to us and offer to drive us to our hotel in the city. We agreed at the price he asked for. Usually, cost USD 8.00- 15.00 to go to Yangon city area. 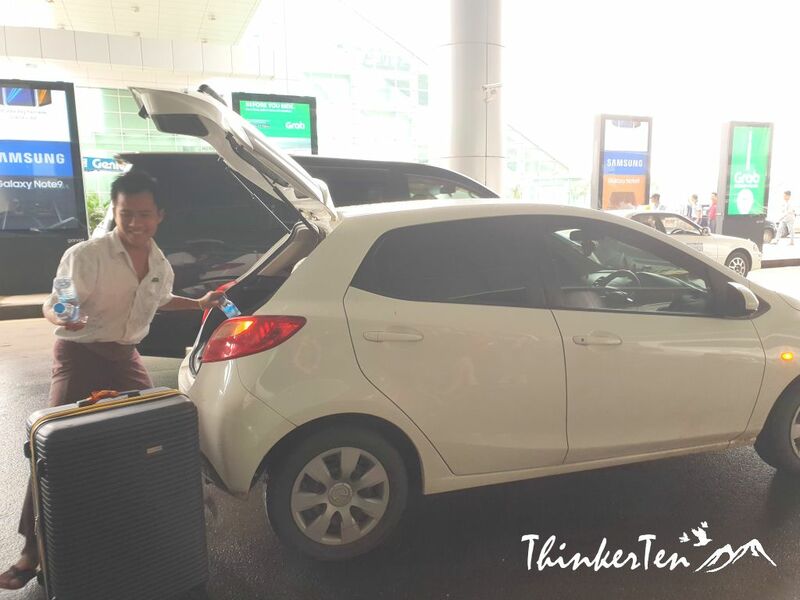 The Burmese driver offers great service as he also helped to push my luggage to his car. It is a private car as you can see. He also offers us some bottled drinks. The Burmese driver is a friendly guy who speaks fluent English. He showed us his business card and ask if we have plans for the next few days in Yangon. He owns a travel company and offers private tour services to bring tourists around. We didn’t use his service for the next few days in Yangon and Bago because we have already done our online booking with Klook. 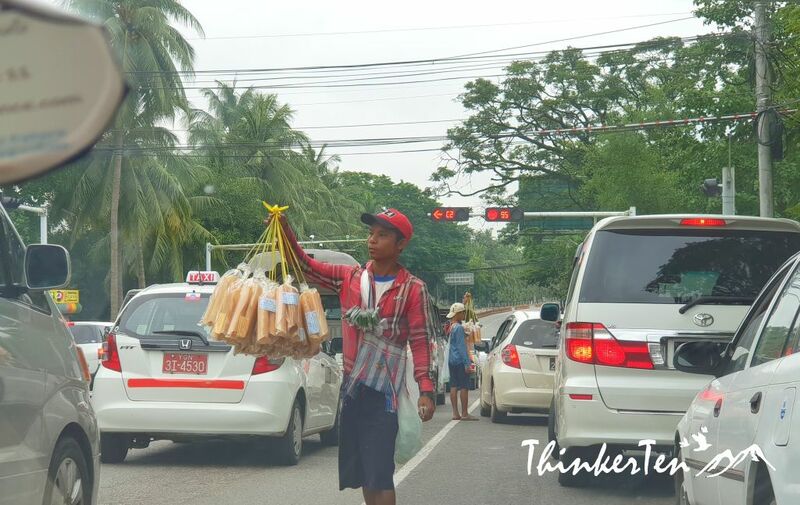 No far from the airport, we see people selling snacks and flowers when cars stopped at the traffic lights. 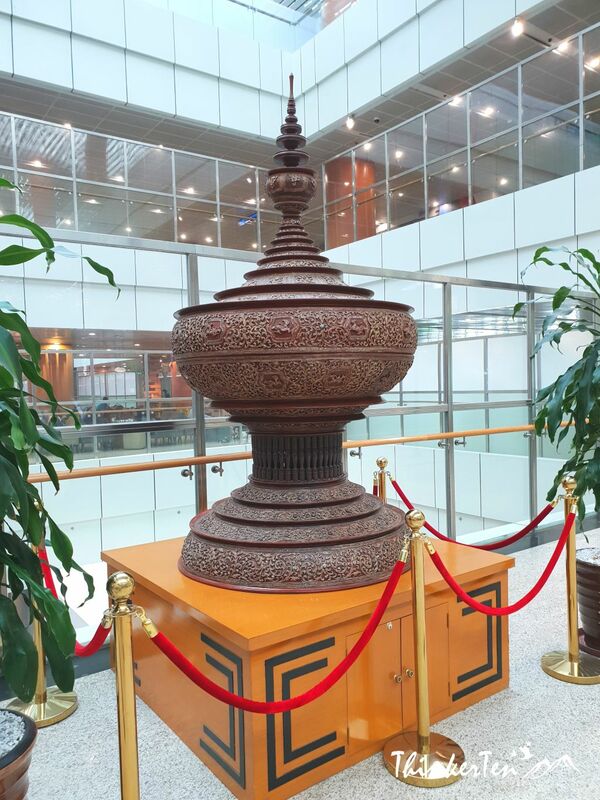 It is just about half an hour drive without traffic from Yangon city to the International Airport. To be safe, better add in more allowance time in case of traffic jam. An hour is more than enough. Departure hall of Yangon International is really pleasant. The lounges are clean and spacious. The line at the check-in counter moves very fast and staffs work efficiently. 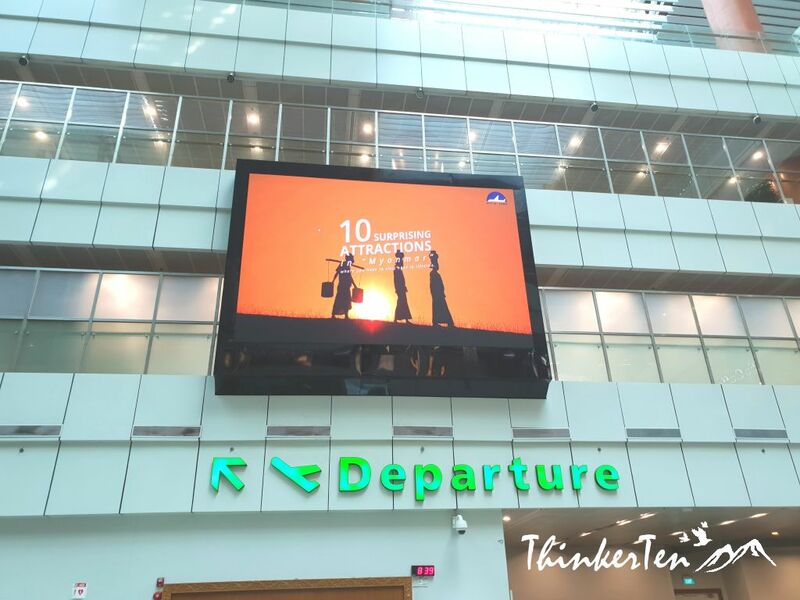 Big screen promoting places to visit in Myanmar at the departure hall. 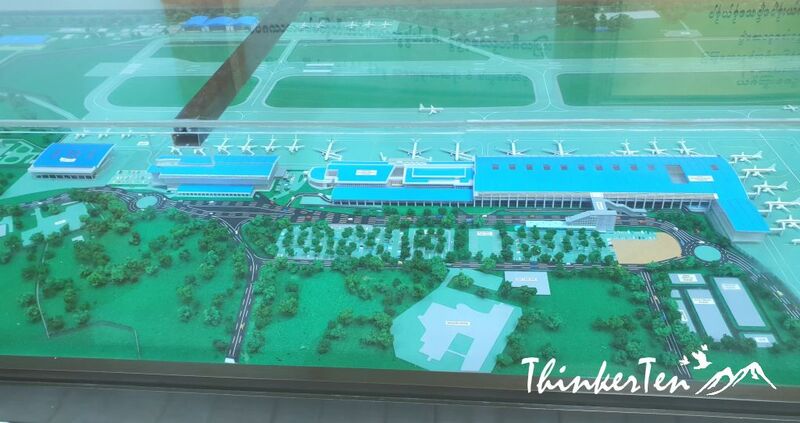 There is a small model of Yangon International Airport located in the departure hall for visitors to look at how big the airport structure is. 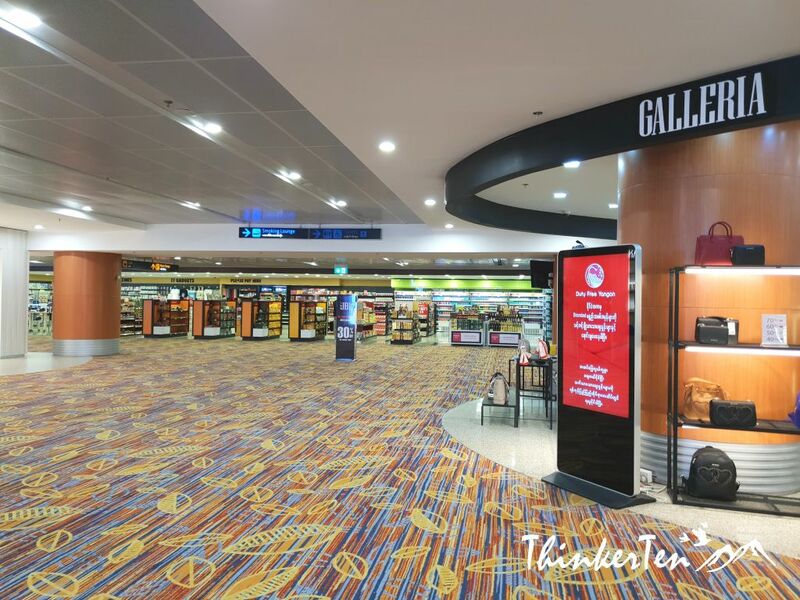 Once you have checked in, you can do some shopping inside the airport. But do not expect high-end luxury brand such as Gucci or Chanel is opened here. 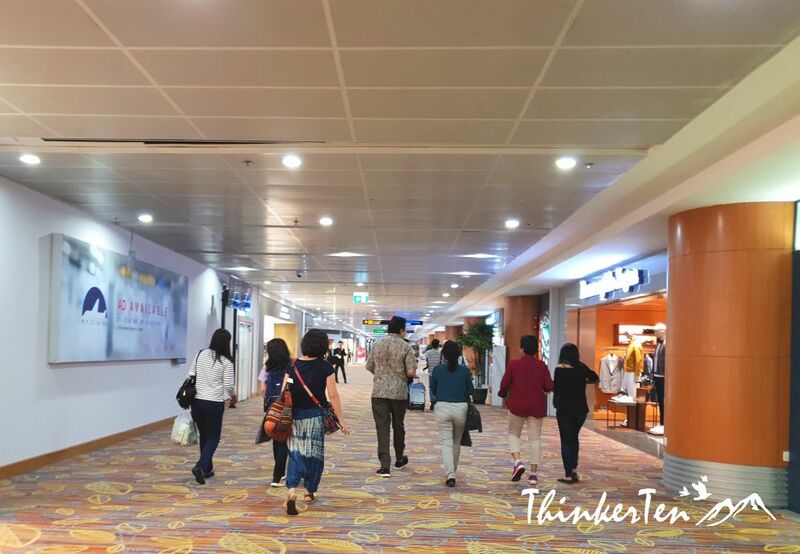 If shopping is not your thing, then you can eat and rest while waiting for your flight. 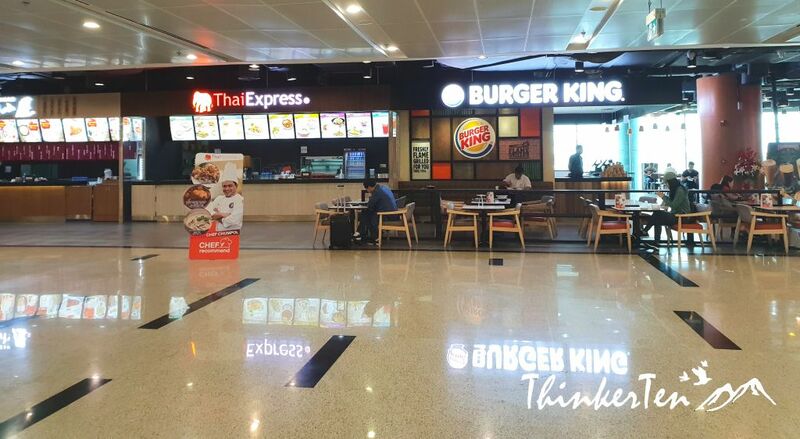 KFC, Burger King, and Thai Express are available. Food selling at these restaurants is slightly cheaper than Singapore price. I bought some KFC and the chicken tasted different and quite yummy. There are few shops selling local souvenirs and handicraft but to be frank, Myanmar snacks are not attractive to buy back. The packaging does not look appealing and attractive. Yangon International Airport looks better than what I have expected for this country. It is clean, the floor is well carpeted and spacious. 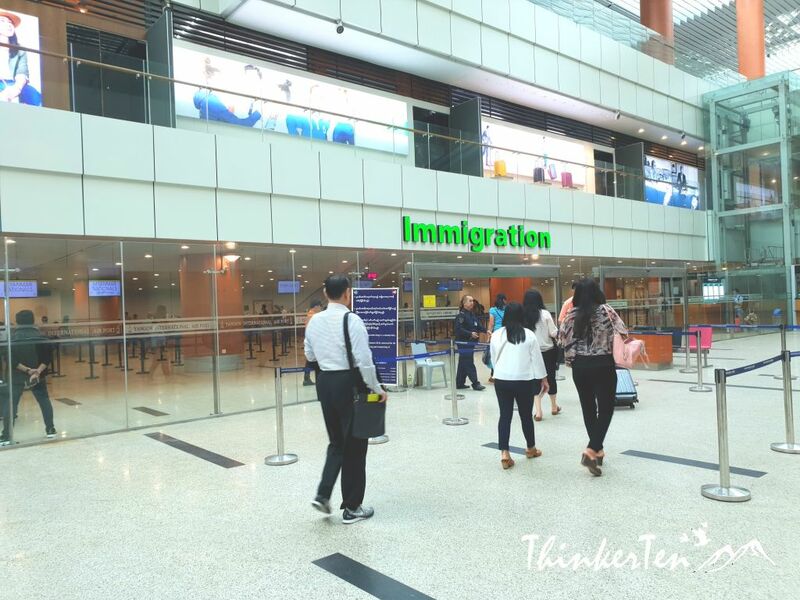 Staff at the airport are friendly and speak good English. Overall a pleasant experience. from experience, private cars are not the way to go — especially when they can they that you’re a tourist. I was once overcharged five times the actual amount! Totally understand what you mean. Many people would worried of the private car as they are not the registered taxi. However,the private car in Yangon are pretty safe and the price is the same or cheaper than meter taxi car. I used private car to go to my hotel in city and it cost me USD 10. I have done little research and that’s rougly the right price. If you are worried, you may want to get Grab. Grab is very popular in Yangon and widely available. It’s interesting how the airport can really leave an impression on your trip/vacation! This was a fun well organized read! 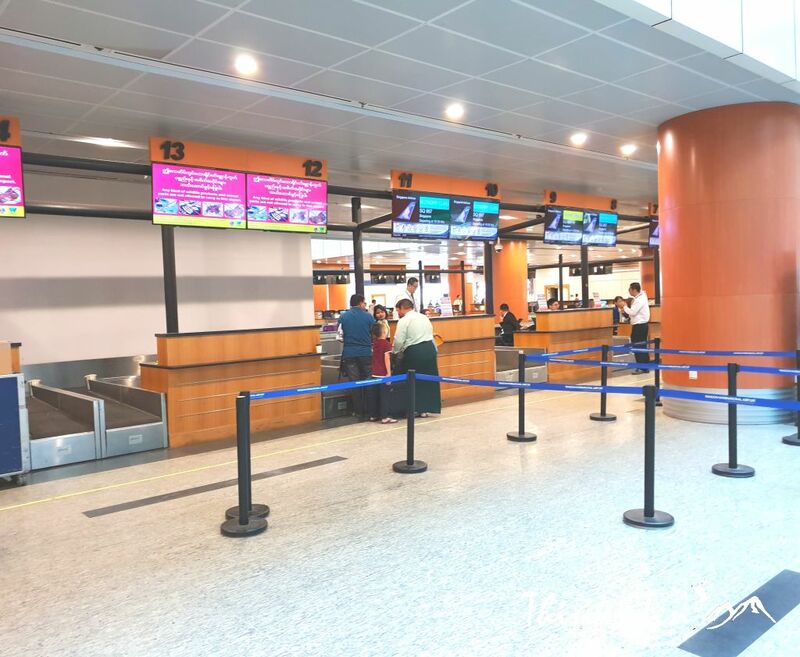 I hope my airport review for Yangon International airport will help anyone who is planning to fly in to Myanmar. To be frank, it is very organised and clean. The fact it is clean is already a winner with me 🙂 I really enjoyed reading this post, and all of the useful information! I am quite please with the Yangon International Airport, it exceed a lot of my expectation. Wow, nice airport. 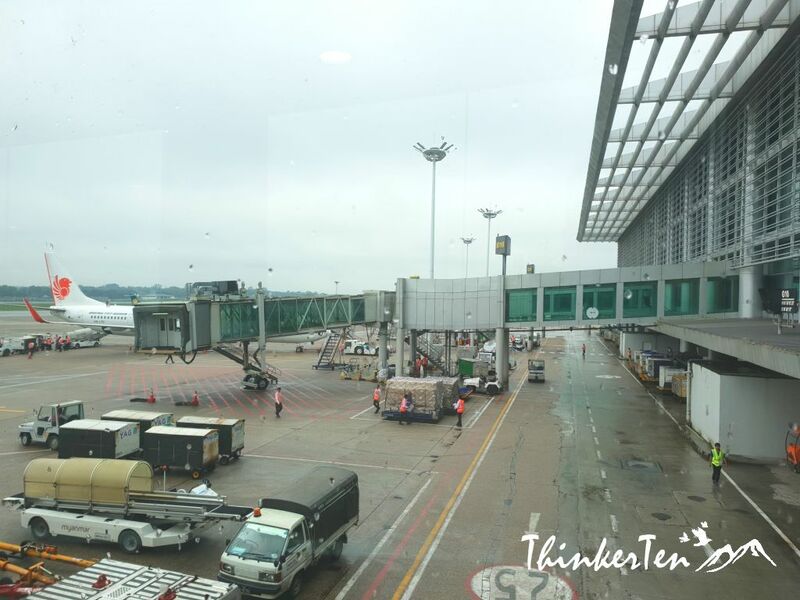 Airport is really one of the things you should consider when traveling. Been looking forward for a nice trip. You are right and I hope this airport review will help people who is going to visit Myanmar to have some pre-alert. Great review! I dream ob visiting Myanmar one day too. I have friends who grew up there. Totally understand where you are coming from. I too not an airport fan. In fact, I get pretty stressed if I visit a huge airport. Seems like a pretty great airport! What was your favorite part about it? I have seen airports which are far better than Yangon Airport. I didn’t expect much from Yangon International Airport but turn out to exceed my expectation. I quite like the fast food restaurants after you have checked in. The KFC tasted quite nice, I think is Myanmar version. Wow there are so many men in skirts haha! I find it unusual sight too. Haha, pretty cute. 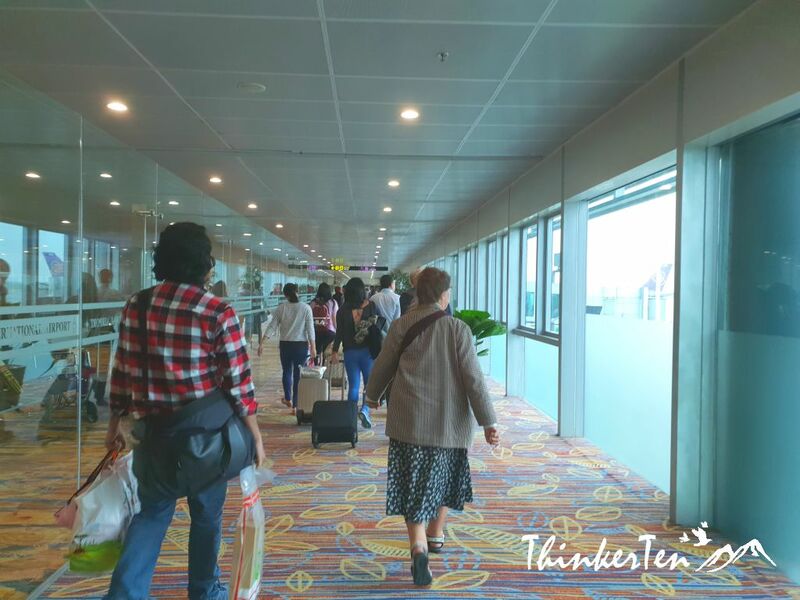 It seems like you have a wonderful time in visiting Yangon International Airport and this is a place that you need to consider every time you are going to travel. You are right. It was just a pleasant surprise for me to find out this airport as it has far exceeded my expectation. Myanmar is far backward so I thought their airport only have simply facilities. I was wrong! LOL. I’ll have to consider this for travels. sounds like you enjoyed it! I hope anyone who wish to travel to Myanmar would find the post useful as the airport is the entrance gate for the country. Sounds like you really enjoyed the time there! It looks like an amazing terminal! I was just surprised how well the airport is, I guess I was wrong. You are so observant, you are right, the Yangon airport floor is indeed very clean and well maintained. However, it is not the case when you drive into the city of Yangon. Pretty scrappy! LOL. This is a great and full of information airport guide. Saving to my travel board. This probably the neatest air port that I have seen in my life . What a wonderful experience .